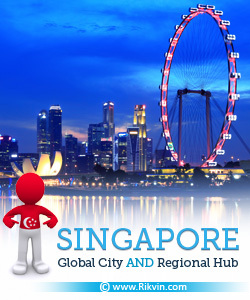 You are here: Home / Blogs / Singapore: Global City or Regional Hub? In a Straits Times article titled “Global city or regional centre?”, Emeritus Senior Minister Goh Chok Tong said those living in Singapore must now help to decide what kind of city it wants to be, as well as the kind of values it wants to hold. 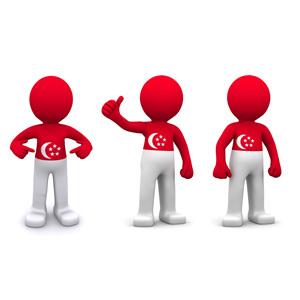 Mr Goh raised the issue of whether Singapore should continue having cosmopolitan values in society as immigrants from all over the world settle down here, or revert to being merely ‘Singaporean’ with just Chinese, Malay, Indian and Eurasians in the country. The former prime minister said an increasing diversity of immigrants, including Australians, Italians, Britons and Cambodians, have chosen to settle down in Singapore, unlike the previous wave of immigrants who were mainly from India, China and Malaysia. He also said Singapore’s future and the challenges facing it were more complex now than before. Rikvin finds that both globalisation and regionalism are both workable models for Singapore, as it is well-placed to take advantage of both. Singapore is an active participant in the global economy, with an international voice and influence which is disproportionately larger than its size. It has been ranked among the top countries in the world for doing business, and is also noted for having the right mix of stable governance, macroeconomic buffers and effective regulation for companies setting up here. Hence, investors have parked large amounts of their capital in Singapore, placing trillions of dollars in securities, mutual funds, retirement plans, life insurance and other financial instruments. International MNCs have also marked Singapore as their Asia-Pacific headquarters and placed an increasing numbers of top executives here to manage the booming Asian market. These companies are also lured by Singapore’s robust financial and logistics hub. Politically, Singapore has proven adept at engaging global powers like the United States, or connecting with countries at the far side of the globe, like Luxembourg and the Eurozone, and helped them keep Asian interests in mind. Considering that trade and financial flows are sometimes concentrated in regions, Singapore is an active part of regional pacts like the ASEAN free trade agreements, and active trading partners with North-East Asian countries like Taiwan, Hong Kong, Japan, South Korea and China. The previous waves of immigrants were also mainly from regional countries, which increases the likelihood of these immigrants facilitating business deals or connecting with their home economies with Singapore’s to increase the volume and speed of trade and financial flows. The smaller number of participating countries in regional pacts also does away with the complicated decision-making and planning process which has stumped international organisations like the World Trade Organisation. This allows for the ‘real’ solving of issues instead of endless rounds of discussions which sweep issues under the carpet. Co-existence of globalisation and regionalism is possible, especially if the government and those who live in Singapore are able to work together to harness the two and meld them into a single driving force. There is space for Singapore to tap into the two forces of globalisation and regionalism, and those who wish to set up their businesses and homes here will be able to take full advantage of Singapore’s unique position to do so.